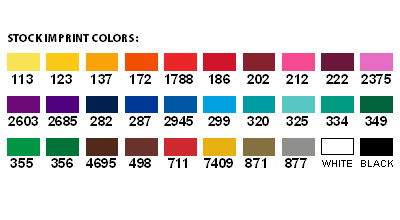 30 stock colors to choose from!Actual appearance of imprint colors will vary if printed on backgrounds other than white. Multi color imprint available. Add a running charge of $ .30(v) per color, per piece. Pricing shown includes a one color imprint. Second side imprint n/c (same color). Set-up $ 40.00(v) per color, Reorder set-up of $ 25.00(v) per color. PMS Color Match: $ 25.00(v). 48	 33lbs. 19" x 26" x 11"
The attached PDF is a copy of the Venturaline BL-9557 - 25 oz Aluminum Bike Bottle web-page. Please send a sample of BL-9557 - 25 oz Aluminum Bike Bottle to the above address.